The Colours of Life Cake is subtle yet cheerful. With pastel polka dots, this cake reminds you of childhood and the joys of that innocent period. 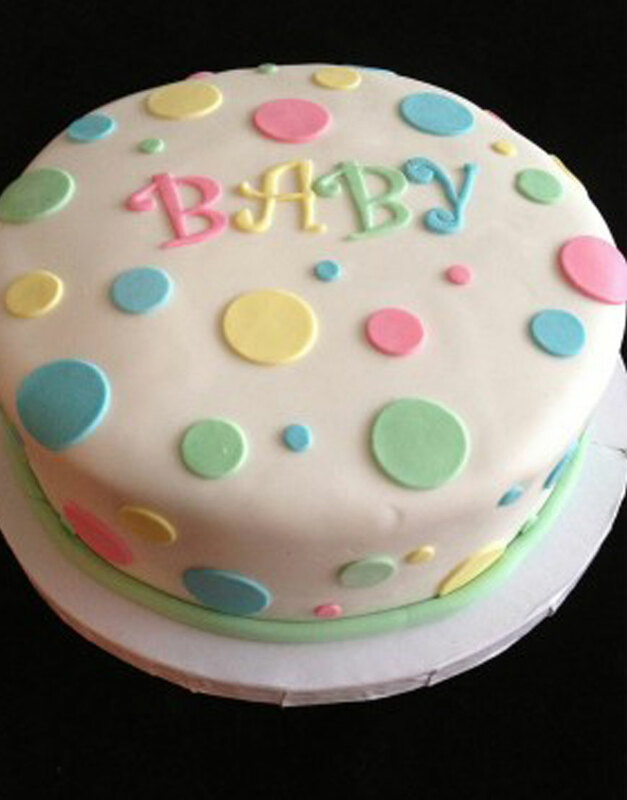 Fondant dots in Mint green, sky blue, creamy yellow and baby pink and of different sizes adorn this charming cake. This cake from GurgoanBakers is ideal to welcome a new baby. Gift this to the new parents and watch their faces light up with joy. We at GurgaonBakers, one of the leading bakeries in Gurgaon are well-known for our wide collection of designer cakes in Gurgaon. All our cakes are available in a wide variety of classic and exotic flavours and can be customised to match the theme of your event. Freshly baked with the finest ingredients, our master bakers sculpt each one of our culinary creations with great attention to detail, to create a stunning masterpiece exclusively for you. Ordering cakes online in Gurgaon is made simple with GurgaonBakers.